You are here: Home / Blog / our faMielie / Under Construction! 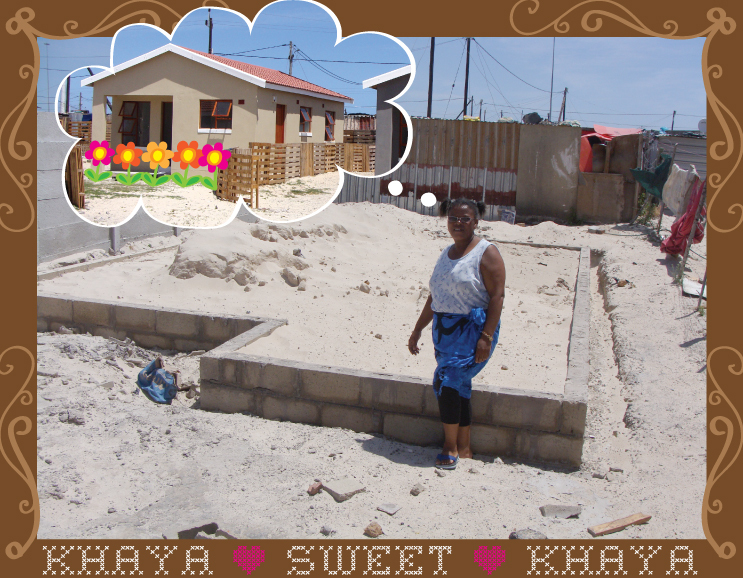 Construction has finally begun on Zanele’s house! There had been a problem with her boundary – it seems like both neighbours had encroached a bit on her property, but it’s all been sorted and they are throwing the slab as we speak. More good news is that Vuyelwa has also been given the go-ahead and building should start on her house in the next couple of weeks. As you can see, Zanele is already planning her garden and veggie patch!